Jeep tour is a fascinating journey and a unique opportunity for those who love nature, prefer an active form of relaxation. 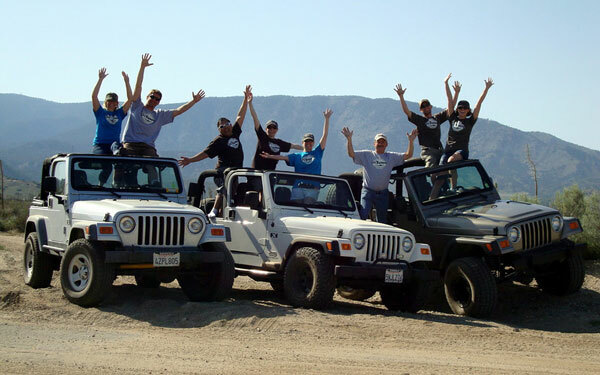 Jeep tour is a tourist off-road route that is passed on the four-wheel all-terrain vehicles. The rich and diverse nature of Azerbaijan with its mountain ranges, snow peaks and savage rivers promotes jeeping development in our country. We offer you one of the best routes, which passes through the mountainous regions of Kuba and Shabran. Kuba - a small town located in the north-eastern slopes of the Greater Caucasus Mountain Shahdag and is known for its apple orchards, Kuba baklava and carpet weaving. Later the tourists will go through the mountain nek, and then, after crossing the river, will make another stop at the waterfall, where people come from different regions of Azerbaijan to enjoy incomparably beautiful nature and enjoy a barbecue straight from the burning brazier. The road goes to Shabran. As we move along the nature is changing and when we reach the height for a thousand meters above sea level, the trees are replaced with bushes and small hills - with mountains. After passing the alpine village at an altitude of 1080 meters above sea level and enjoy the waterfall, tourists can stop for a picnic. In the evening the tourists return to Baku. Route: Departure early in the morning from Baku to Kuba / Arrival to Kuba / town sightseeing / picnic - lunch / crossing a mountain river / rise to the mountains by cars / Shabran / return to Baku.